The debate over the objects of episodic memory has for some time been stalled, with few alternatives to familiar forms of direct and indirect realism being advanced. 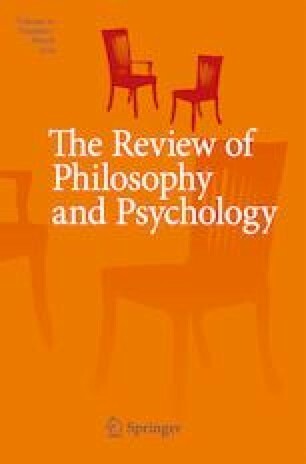 This paper moves the debate forward by building on insights from the recent psychological literature on memory as a form of episodic hypothetical thought (or mental time travel) and the recent philosophical literature on relationalist and representationalist approaches to perception. The former suggests that an adequate account of the objects of episodic memory will have to be a special case of an account of the objects of episodic hypothetical thought more generally. The latter suggests that an adequate account of the objects of episodic hypothetical thought will have to combine features of direct realism and representationalism. We develop a novel pragmatist-inspired account of the objects of episodic hypothetical thought that has the requisite features. We are grateful to the editor and to an anonymous referee for valuable suggestions made to a previous draft of the paper. We are also grateful to audiences at the University of Otago and the participants in the New Directions in the Philosophy of Memory workshop, also held at Otago, for helpful discussions on previous drafts of the paper. We’d also like to thank Ligia Coutes and Chloe Wall for comments on earlier drafts.